23 Mart 2019 Cumartesi 19:00 - 3 reads. About a week after the deadly attack in Christchurch, new Zealand Muslim believers have been praying in the biggest mosque of the city. First of all, up to 15 people were allowed to enter the house of God, as Sayed Hassen, a Volunteer of the attacked Al-Noor mosque, on Saturday said. This is a little out of the ordinary should be produced again. When the mosque is fully opened, remained open in the first place. The police had blocked the mosque earlier for investigation and security reasons. One of the first believers, the one who entered the mosque, was a Survivor of the attack, Vohra, Mohammad Huzef. "All want to come back to praise God and to find connection. This is the heart of our community," said Huzef. the prayer, guests of the Jordanian crown Prince Hassan bin Talal. Among the 50 people, at 15. 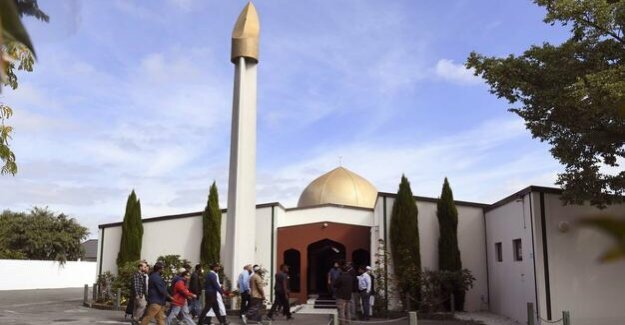 March of right-wing extremists were shot dead in two mosques in the new Zealand city, there were also four Jordanians. "We all feel as new Zealanders," said crown Prince Hassan on Saturday the new Zealand media, and drew attention to the numerous acts of terrorism and violence in the Middle East. Specifically, the crown Prince of new Zealand Prime Minister Jacinda Ardern for their solidarity with the Muslims, and their clear rejection of violence, Terror and racism praised.